Porter Builders is your Massachusetts Roof Snow Removal specialist. We serve Arlington, Lexington, Lincoln, Belmont, Waltham, Weston and surrounding towns near the junction of Routes 2 and 128. If you don’t remove the snow from your roof, ice dams can result. 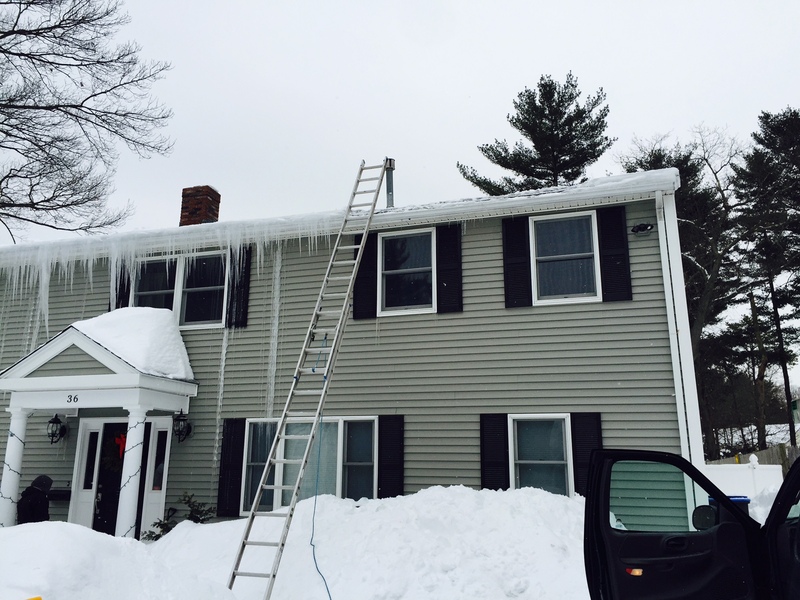 Ice dams are a problem of building maintenance on sloping roofs in cold climates. Snow that melts later cannot drain properly resulting in leaks and potential damage to the finish and structure of your home. Excessive snow loading can damage roofs from the sheer weight of the snow. This winter has led to a lot of roofs being put under severe conditions. 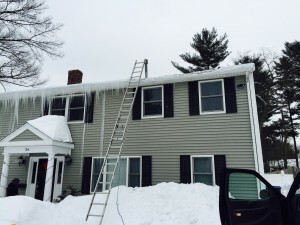 Heavy snow and cold temperatures have created severe roof situations throughout Massachusetts and New England. If you are in need of Roof Snow Removal services, call Phil Porter today!